In my expert beauty opinion, glitter is making a comeback. Don’t get it twisted; people were always using glitter, but for a while it seemed to recede to the fringes of the makeup world. 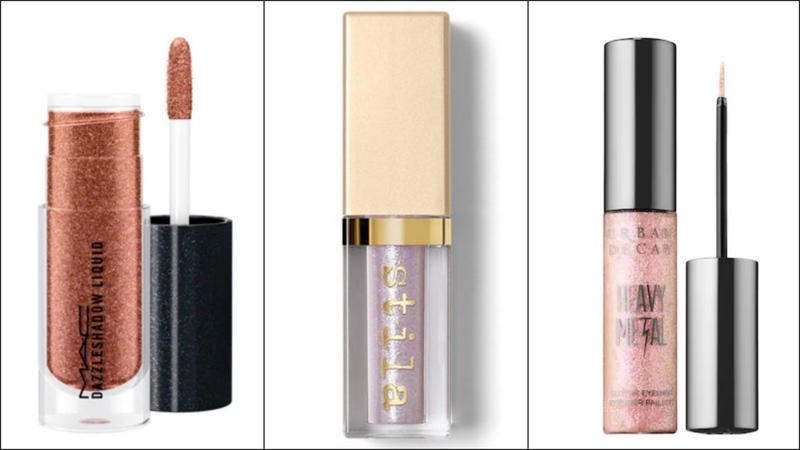 Arguably, Stila’s Glitter & Glow Liquid Eye Shadows brought glitter back to the forefront of mainstream beauty consciousness. 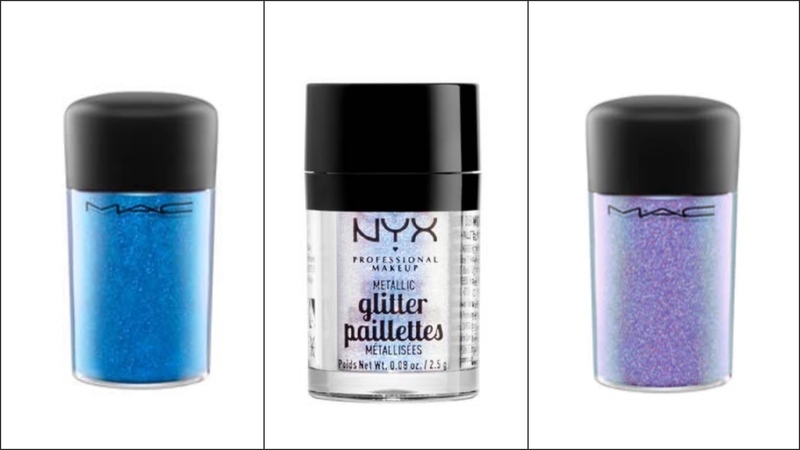 Now, tons of brands are following suit by releasing their own liquid eye glitters. 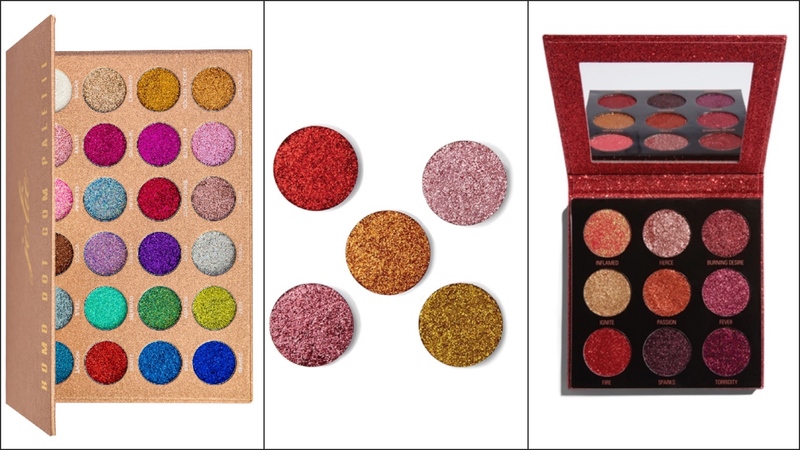 And, glitter is having such a moment that brands are even releasing loose glitters now! 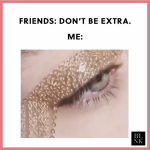 As a glitter aficionado, I’m going to break down the 3 main forms of glitter eye makeup for you in increasing level of difficulty, and offer some tips of the trade and product recommendations. Make it to the end to find out my ultimate words of glitter wisdom! Liquid glitter is perfect if you’re a beginner in the world of glitter or if you just aren’t up for the potential mess of other forms of glitter. Simply take an eye brush or use the applicator the product comes with, and apply wherever you desire a bit of a sparkle. Another perk of liquid glitter is that it tends to be rather opaque and doesn’t require much building up. The next level up in the glitter realm is pressed glitter. You don’t have all the control of a liquid glitter, but you’re not in loose glitter territory yet either. Pressed glitter, like pressed powder eyeshadow, comes pressed into a pan. The glitter adheres together and to your eye, so you don’t need a glitter adhesive; however, for easier application and for longevity of the look, I would still recommend using a glitter adhesive as a base. If you find that the pressed glitter is applying sparsely or if you want an opaquer look, consider applying a shimmer shadow of the same color underneath. This way, when you apply the glitter on top, the shimmer shadow will fill in any gaps. From far away (basically anyone not 2 inches from your face) it should look pretty seamless. You can experiment with applying pressed glitter with an eye brush or with your fingers. Because of the risk of fall out, I recommend applying pressed glitter to a closed eye. Loose glitter is the final stage of glitter proficiency, but it’s still no cause for concern. To use loose glitter, first apply a glitter adhesive to any area where you want the glitter to stick. Then use an eye brush to dab the loose glitter onto the area. It’s best to start with a light hand and build up coverage, rather than to go in with too much and risk clumping or patchiness. The pressed glitter trick of using a similar shimmer shade underneath applies here as well. Again, due to the likelihood of glitter fallout, you would do best to apply loose glitter to a closed eye. Make sure that any glitter you apply to the eyes or lips is cosmetic grade! Cosmetic grade glitter is safe to use on the eyes and lips because it is made of non-toxic materials, contains FDA approved coloring (instead of dyes), and is cut in such a way to minimize irritation. For more on the difference between cosmetic grade glitter and craft glitter, you can read this post. Use tape to remove glitter from your eyes (or anywhere for that matter)! Makeup wipes and makeup remover have a tendency to spread the glitter around. When you’re applying glitter to a sensitive area like the eyes, this means glitter can get into your eyes or rub and irritate your eyelids. Cosmetic grade glitter is safe for your eyes, but that still doesn’t make it a fun experience. Tape solves all of these problems. Simply press scotch tape on top the glitter a pull it off with minimal mess and fuss.